More than two-thirds (69%) of retail marketers say they use engagement data (opens, clicks, etc.) 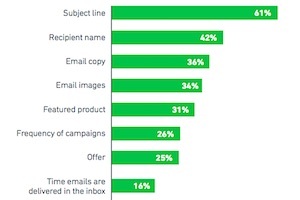 to improve the relevance of their email campaigns,according to a recent report from Yesmail. The report was based on data from a survey of nearly 200 online retail marketers who attended the National Retail Federation’s Shop.org conference in October 2015. 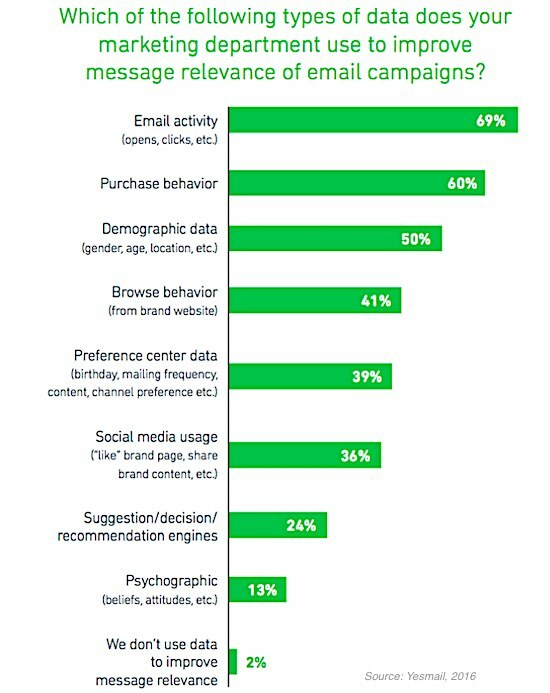 Some 60% of the marketers surveyed say they now use purchase behavior data to send more relevant emails to consumers, and 50% use demographic data such as gender, age, and location. Below, additional key findings from the report. 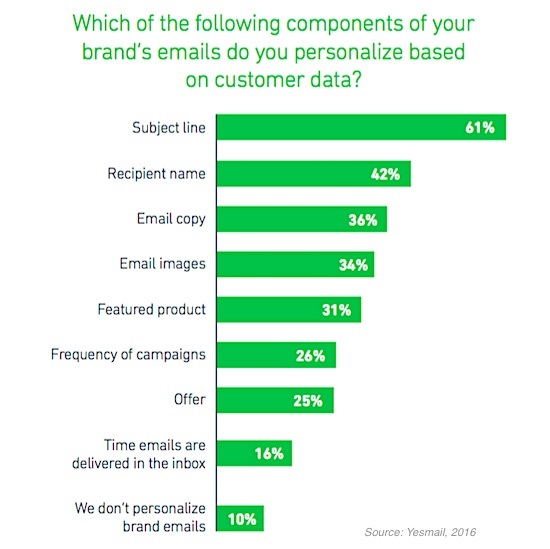 Some 61% of retail marketers say they personalize email subject lines based on customer data; only 36% personalize the body copy of emails. 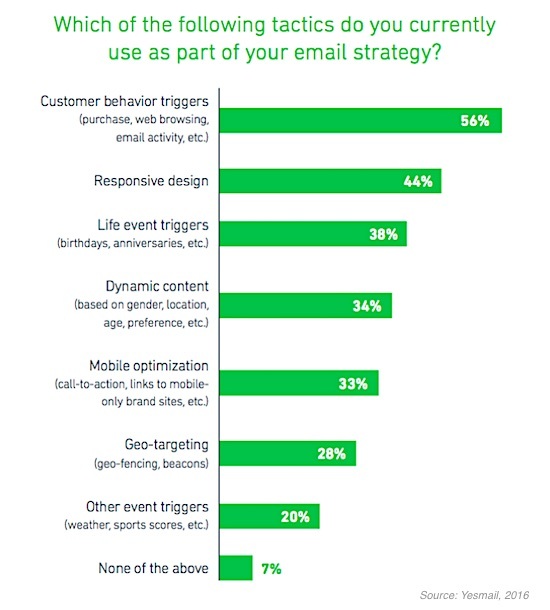 More than half (56%) of respondents say they use customer behavior triggers as part of their email strategy; 44% use responsive design. 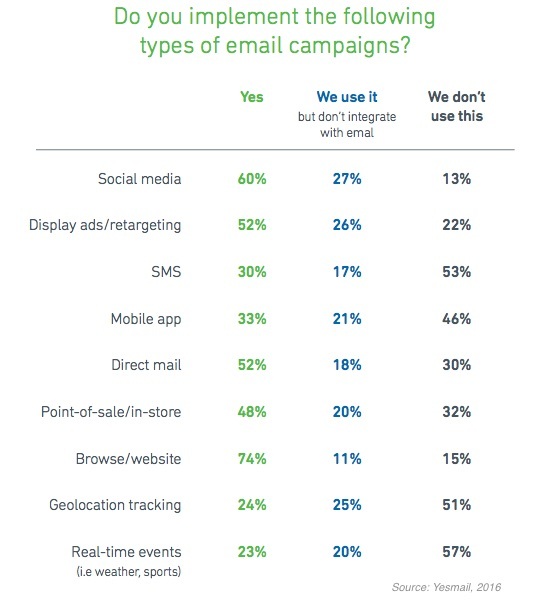 Some 60% of retail marketers say they integrate their email and social campaigns; 52% integrate their display ads and emails. 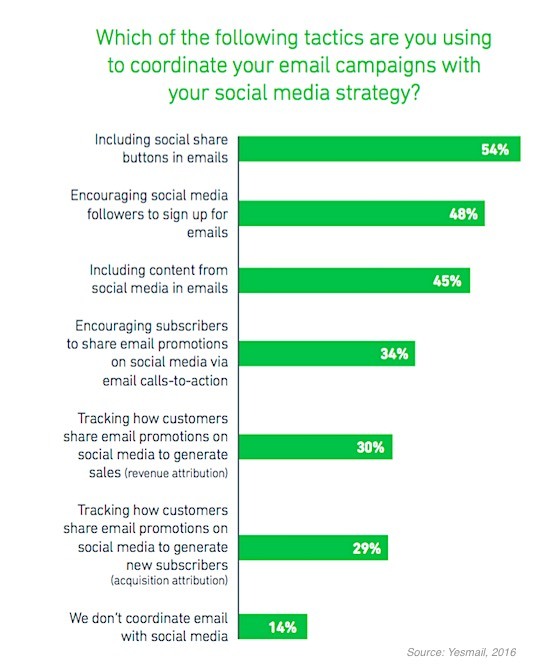 More than half (54%) of retail marketers say they include social share buttons in their emails; 48% encourage their social followers to sign up for emails.